Verbal reasoning tests essentially target at evaluating the capability of an individual to play with words, understand them and solve any hanging questions. These tests aim at evaluating the proficiency of an individual with certain words and a certain language. Also referred to as thinking with words, verbal reasoning is geared at measuring an individual’s skills rater that his knowledge on a particular subject. It measures his or her ability to play with words and come up with an immediate solution a per the requirements o the test. Mainly, easy concepts are provided at the disposal of the individual being tested. He/she is given a time to generally equip him/herself with the skills needed to achieve the right solutions to the test. The verbal reasoning test measures the ability of individuals to think out of the box and apply new skills to solve existing solutions. Individuals who pass logical reasoning tests are proven to have a better and bigger IQ and the ability to thing critically and also logically. The verbal reasoning quiz also tests the comprehension skills of any individual. An interesting fact in these tests is that they do not require you to go through classes or curriculum to sit for them. They are open to anyone who is aiming to improve his or her logical reasoning test. While some questions in the tests lack accurate precision, individuals are required to choose the most appropriate answer that will suit the question at hand. The situation of a question having more than one answer is a common occurrence. The verbal reasoning skills here require you to apply the most appropriate answer hence the reason for the test. Have a look at the links below to get you started with your verbal testing. Verbal tests normally constitutes of 21 questions. Individuals with a high knowledge of a variety of vocabulary are known to perform better in these reasoning tests due to the fact that verbal reasoning involves the individuals ability to think critically and logically, they are said to favour the younger minds in terms of passing the tests. Individuals within the age bracket of 12 to 22 are said to do well in these tests as their brains are open to critic and equal evaluation when solving any verbal reasoning problem. Basic skills are needed before sitting for these verbal aptitude tests and they include knowledge of; antonyms, synonyms, vocabulary, singular and plural, opposite meanings and simple basic mathematical skills like addition, multiplication, division and subtraction. Most of the questions in a verbal reasoning test are twisted so as to enable the individual to think logically and critically. The essence of twisting questions is in order to test the ability of an individual in applying the required skills to pass the test completely. Many children with fluent English or proficiency of verbal reasoning tests acquire it naturally, practice is also required to ensure that a child perfects his or her skills where he/she has weakness in. Helping your child in practicing for verbal reasoning tests is very important as it builds the child’s capability to apply those skills in school tests or in the learning environment in general. In adults, verbal reasoning is equally important as some employers use the test to conduct interviews to new recruits. The importance of verbal reasoning tests is not measurable and proper knowledge of how to handle the tests is a must to ensure that you are on the safe side should your employer require you to handle one. Normally, verbal reasoning tests have three answers to their questions which are; true, false or cannot say. An individual is required to choose one of the answers that he/se feels is the best to the question or passage given. To ensure that you are conversant with the questions in a verbal reasoning test, you are required to have practiced or have prior knowledge to the questions at hand. Normally in a job interview, verbal tests given revolve around the same institution and generally work ethics and common work practices. Language and thinking skills are all that are required to ensure that you pass the test. Most practice questions can be found online at your disposal. The main step to ensure that you pass the verbal reasoning test is through proper following of instructions. Although many might think that special classes and past experience is needed to handle these tests, application of general knowledge is only what is needed. The main skills that standout in verbal reasoning tests include; sequencing, prediction and following instructions. 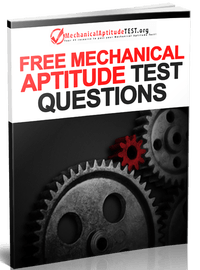 Most of the questions in these tests require you to apply what is best to that question. In sequencing, you are required to link two or more events that lead to the probability of another happening. Normally, sequencing helps one to determine the probability if the next step happening. Sequencing also tests an individual’s ability to foretell the flow of events or the most probable flow. Sequencing works hand in hand with prediction. The ability to predict occurs if an individual can remember the logical sequence of the same event. Prediction also involves putting yourself in the foot on someone else and foretelling the most probable event that can occur next. Learning to understand a situation will involve emotional association to the problem hence increasing the probability of getting a verbal reasoning test correct. In the test, an individual’s prediction is normally followed with his prediction as to why he/she feels is answer is the most appropriate. Verbal reasoning tests are of great importance in today’s world. A major percentage of employers take their recruits through these tests. Adequate preparation is essential before the actual day of presentation or interview. Knowledge or proficiency is now a priority hence everyone should be encouraged to register for tests to make sure they are aware on all that is needed by the employers!